How would you like you like to improve your students' writing skills along with their technology skills? 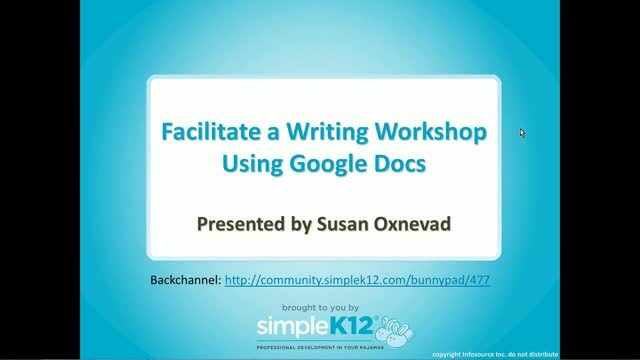 In this webinar, you will learn how to utilize the many features available in Google Docs to facilitate a digital writing workshop and maximize writing instruction in the 24/7 classroom. 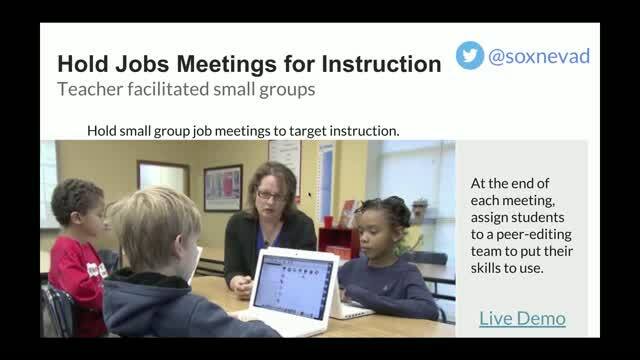 Join Susan Oxnevad as she covers how to use sharing and commenting tools combined with cooperative grouping strategies to provide students with immediate feedback. She will share how to help students improve writing skills by teaching them to use the integrated reference and writing tools available in Google Docs, as well as how to monitor student progress using the revision history feature. As a teacher coming back into the field after being home to raise my babies, this is great info for me! Thanks! Thank you, Susan, another webinar done well. Great ideas for students to edit their classmates papers. Very informative. 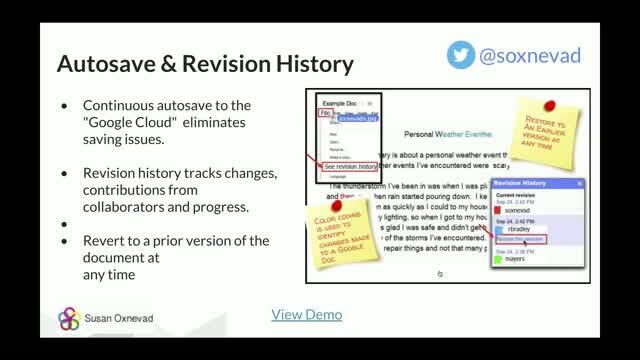 Digital writing is different, in many ways, than the paper and pencil writing we did back in the day. Great presentation!! I needed some fresh ideas for my writers workshop!! Thanks so much for sharing. Great resources, thank you for sharing! 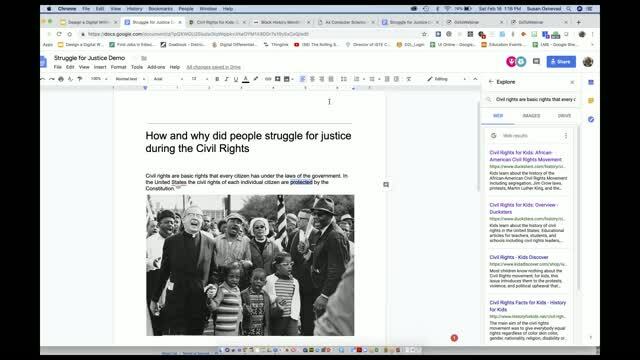 awesome demonstration on the finer points of google docs. 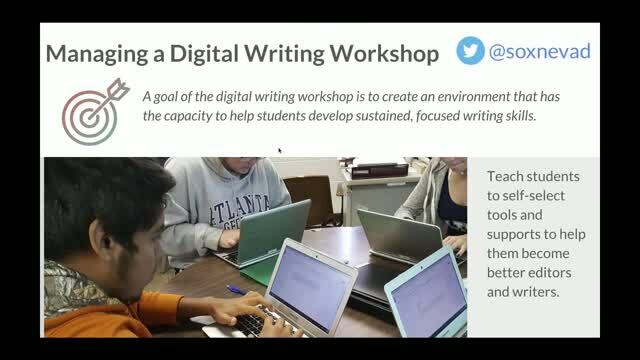 love your ideas for implementing into a writing workshop approach!